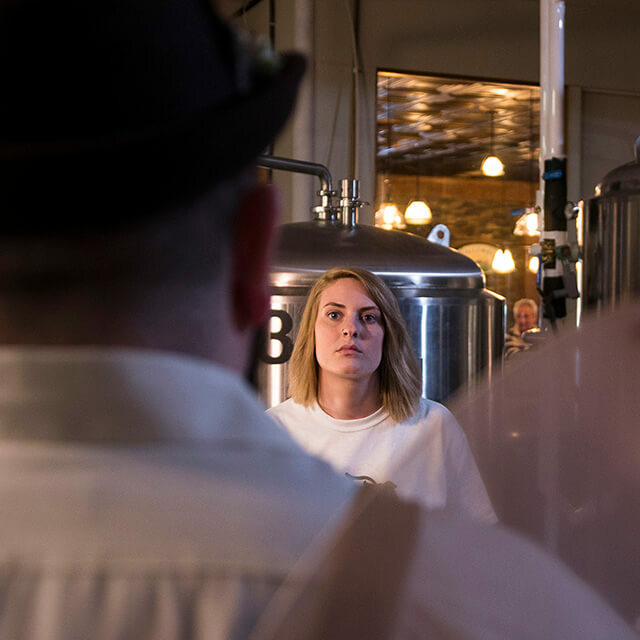 It started with a simple idea: Tapped is basically a holiday for beer lovers. Downtown Midland’s highly anticipated craft beer festival features more than 30 breweries, an outdoor street festival, and tap takeovers at local bars. If you love beer, you might spend all year waiting for that one magical day. People prefer stories to facts. Stories demand attention, encourage viewers to keep watching, and place facts within a larger, more entertaining context. And as the iconic “mad man” David Ogilvy pointed out, great advertising makes the product the hero. 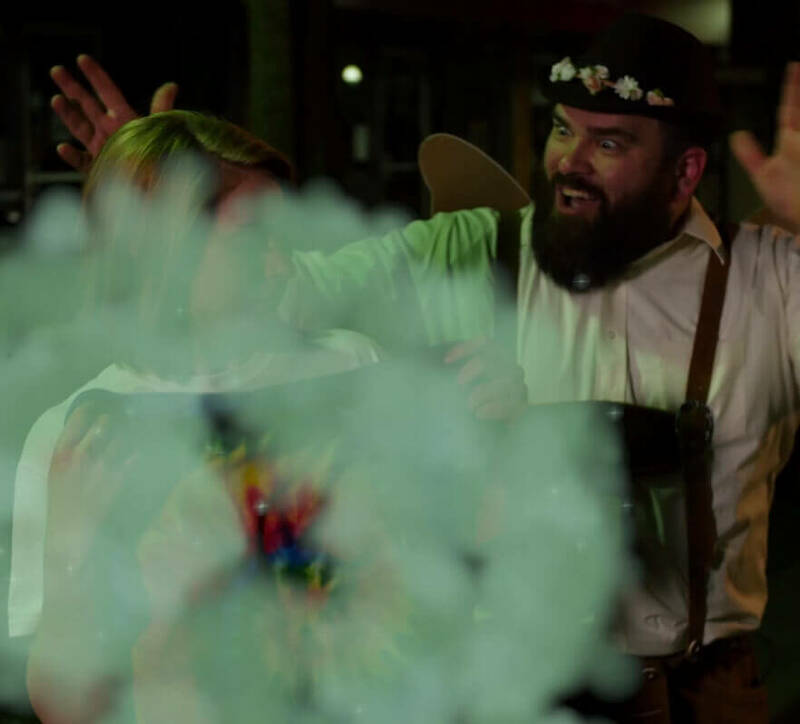 It couldn’t just be a funny video about a magical beer fairy; it needed to be funny video about a magical beer fairy that clearly communicates the events happening at the festival. It must be written so that, if you removed Tapped, you couldn’t replace it with a new product and still make sense. Casting was (surprisingly) easy. The lead actress appeared in a previous video we produced for Child & Family Services of Saginaw. 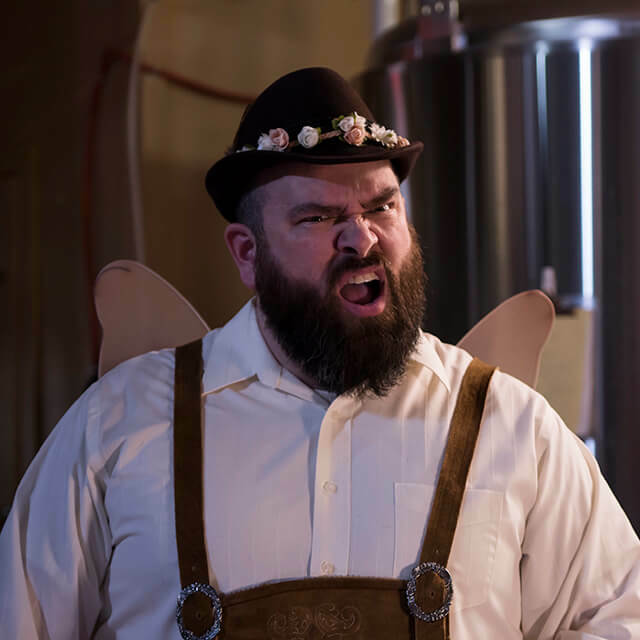 She recommended a current Saginaw Valley State theater student to play the optimistic, burly, beer-drinking fairy. 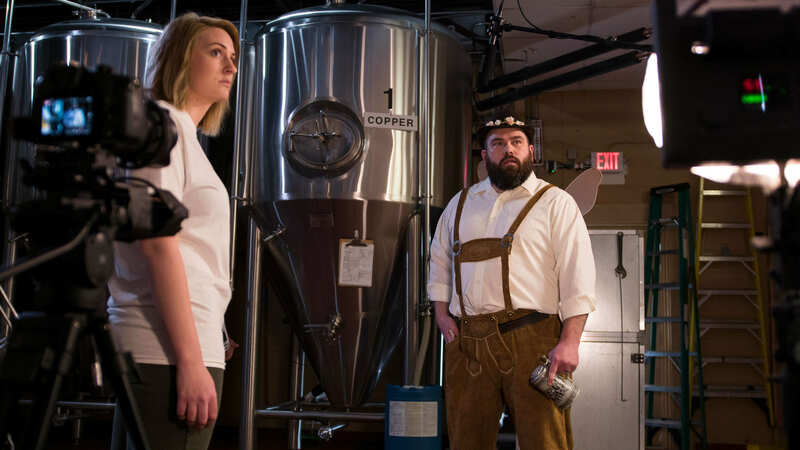 And when we needed a cameo from a brewer, Midland Brewing Company connected us with Kyle, a professional brewer who also happens to act in productions at the Midland Center for the Arts. We scoured antique shops, online stores, and attics to find the right props. The fairy’s wings were crafted from wood, pantyhose, and magnets. Most of our videos are shot in a documentary style. Instead of trying to “run and gun” for great shots in the moment, we were able to meticulously plan each shot in this video with cinematic intention. Filming a video that takes place in the dead of night can be tricky when you can’t actually film in the dead of night. At WhichCraft Taproom, where we shot at 9 A.M., we covered the windows with landscaping fabric. 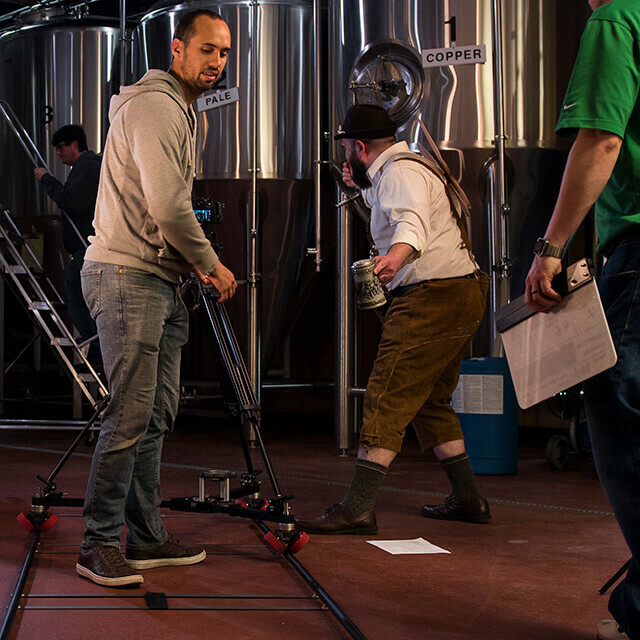 In Midland Brewing Company, we used lighting and careful camera placement to conceal their dinner rush. After five sessions, filming was completed. But there was plenty of work left to do. Shortly after all the filming was completed, we put together a rough cut of the video. It was not good. Especially for an online video, it was important that we keep the pace moving as quickly as possible. Some jokes that sounded funny on paper didn’t work on camera, and some shots that looked great on set didn’t translate to the small screen. But that’s okay. We pruned, altered, and replaced scenes until each detail was just right. The voiceover artist’s read of the script was refined and added to the video. Then came the final touches – animated green smoke, sound effects, color grading, music. Once complete, the video was published online through Tapped’s social channels. The response was phenomenal. The year before, we earned the Best of Show ADDY Award for a series of 3 online videos for Tapped. This year’s video earned over 46,000 views — more than all 3 of the previous year’s videos combined. The weather did not cooperate; torrential rains threatened to ruin the festival. But no matter. The tasting tent was packed full of beer drinkers who refused to let a bit of water dampen their spirits. The Tapped fairy would be proud.